Residents should take appropriate action to be prepared. Duke Energy meteorologists continue to monitor the storm; company making preparations. ST. PETERSBURG, Fla. — Duke Energy is preparing for Hurricane Irma and is urging customers to prepare as well. The company's staff of meteorologists are constantly tracking the storm and crews are preparing to safely and quickly respond should the storm impact our service area. "An important part of being safe during a hurricane is being prepared," said Harry Sideris, Duke Energy Florida president. "At Duke Energy, we prepare for storms every day of the year and we want to help our customers get ready now so they can react quickly during Hurricane Irma." Ensure first-aid supplies and medicines are readily available. If electricity is needed to operate medical equipment, contact Duke Energy’s Customer Care Center at 800-700-8744, in advance of a storm to learn what to do in the event of a power outage or emergency. Maintain a plan to move family members – especially those with special needs – to a safe, alternate location in case an extended power outage occurs or evacuation is required. Pet owners can make arrangements to stay at evacuation shelters that accept pets, friends’ or family members’ homes, or pet-friendly hotels. For a “Hurricane Kit Checklist," important safety tips and more information on what to do before, during and after a storm, visit https://www.duke-energy.com/safety-and-preparedness/storm-safety. For more tips on general emergency preparedness, visit the Florida Division of Emergency Management at http://www.floridadisaster.org. 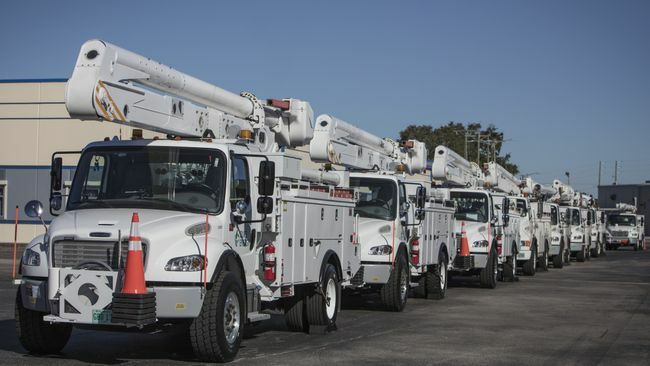 The company has spent more than $2.4 billion since 2004 maintaining and strengthening its Florida power delivery system, including inspecting and replacing poles and trimming vegetation and trees. The company is also investing in advanced technologies to transform the energy grid into a dynamic system to automatically detect, isolate and reroute power when a problem occurs. Self-healing systems help reroute customers during outages so interruptions are avoided or limited. In 2016, a total of 164,000 outages were prevented and over 11 million customer minutes of interruption were saved. Over the last two years, Duke Energy Florida has hosted more than 36 storm preparation sessions and downed power line demonstrations, reaching approximately 2,500 emergency first-responders and customers across its service territory.